You may not know it, but October is National Security Month. Unsurprisingly, statistics show that there is a 20% increase in home burglaries as it begins to darker in the autumn and winter months, so October is the perfect month to be thinking about improving the security of your home. 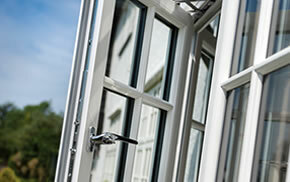 To help you out, the Inspire Range have created a list of six important security features to look for when buying new windows and doors. Glazing is obviously the most vulnerable area of a window. Therefore, ensuring that the glazing of a window is toughened is a good way to increase the overall security afforded by your window. A good installer will be able to offer a range of glazing options for your windows, so always check to see what they can offer you. An initiative run by the police with the intention of improving the security of homes, ‘Secured by Design’ is an accreditation given to products that meet a rigorous set of security tests. These tests are designed to test the security features of a home improvement product to its limits. 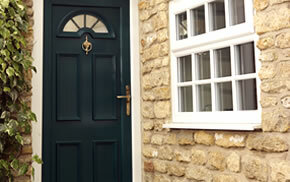 An integral part of the window, the term ‘beading’ refers to the part of the frame that holds the glazing in place. It’s been found though, that with sustained prising, this can be removed. This obviously creates a major vulnerability in the overall security afforded by your window. A frame described as ‘internally beaded’ will have the beading located on the inside of the frame: inside your home, instead of outside. This makes it much better for security. When buying a window, it’s always a good idea to check the location of the beading and find out whether it’s externally or internally beaded. The resulting security benefits really are noticeable. Perhaps one of the strongest types of home locks currently on the market, multipoint locking offers improved levels of security when compared to other forms of locks. Utilising a complex system of deadbolts, hook bolts and compressions bolts, multipoint locks are some of the most technologically developed currently available. All of the MACO locks used in the Inspire Range utilise multipoint locking, and are guaranteed for 10 years. 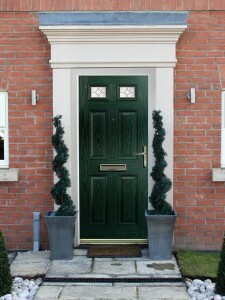 High quality hardware can truly enhance the overall security of a door. By making sure that you invest in quality hardware such as latches and hinges, you can safeguard the security of your door, and improve the overall safety of your property as a result. If you want a window or door in whose security you can be absolutely assured, always use an accredited installer to fit it. Accreditations are a useful way to gauge the trustworthiness and quality of an installer and their products. Important accreditations to look out for include FENSA registration, BSI registration, CHAS and ‘Secured by Design’: all of which the Inspire Range carry. 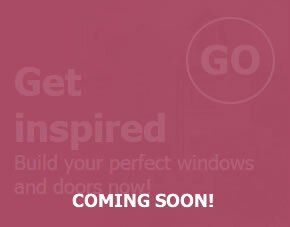 Inspire, by Dempsey Dyer, is the perfect home improvement range for homeowners looking to improve their properties. With an emphasis on impeccable quality windows, doors, and conservatories, we only use certified craftsmen to install our products. 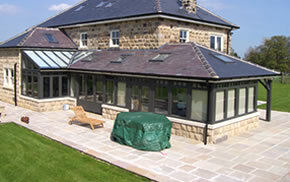 For more information about any of our products or services, please give us a call on 01977 649 641 or send us an email. We hope to hear from you soon.